Travels Along the Mekong: A Ride on the Wild Side! Enroute from Nha Trang to Dalat, Vietnam - Today we took a bus from Dalat to Saigon. We were "lucky" enough to get what I affectionately refer to as the "Oh Sh^t Seats!". Those would be the front row opposite the driver so you can see out the front window. I refer to those seats as the OSS because you get to see up close and personal how many times you almost hit somebody and how many times you were almost hit by someone else. I have no idea what the number for either was on our 8 hour trip but we did make it to Saigon safe and sound and didn't manage to kill anybody or any thing. Our intial impression of Saigon is very positive especially compared to Hanoi. Hanoi seemed dour and depressing while Saigon has a vibrancy and excitement about it. Both places are chaotic and crazy but Saigon just seems like a lot more fun! We have a week left on our visa here before we head to Cambodia. 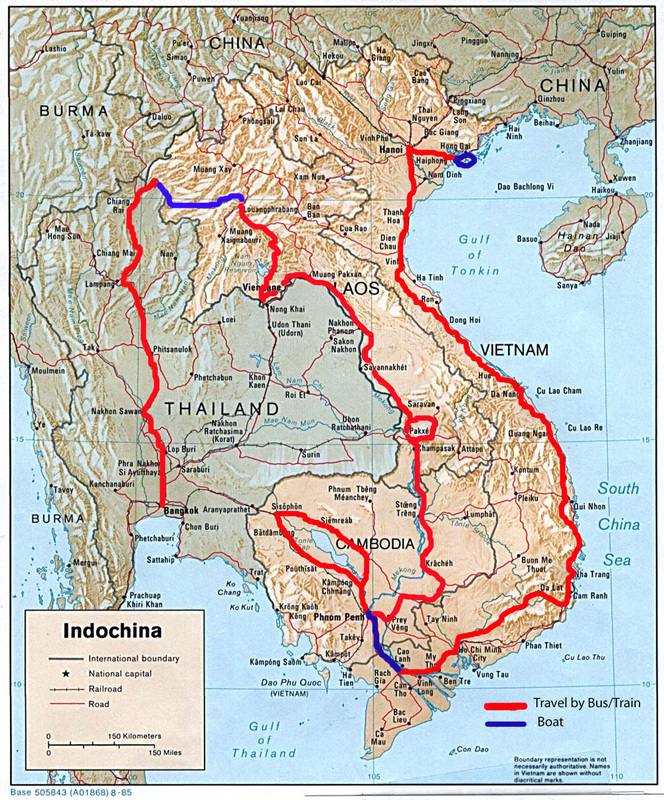 We are scheduled to be in Saigon for 3 days and want to try and do a Mekong Delta tour. If we can't organize that we might spend a couple more days here before heading to Phnom Penh.